A controversial chemical that Health Canada is moving to ban in baby bottles has turned up in tests conducted on cans for foods commonly served to Canadian children. · A can of children's ravioli leached 6 parts per billion. · A can of peas and carrots leached 7 parts per billion. · A can of tomato juice leached 14 parts per billion. 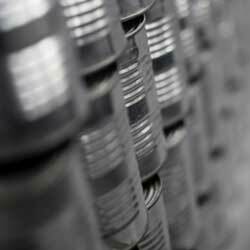 In this study, the first of its kind in Canada, the method of testing used most closely mimics the canning process. Fourteen cans of popular Canadian foods were sent to XenoAnalytical LLC, a laboratory in Missouri. The cans were emptied and rinsed five times before being filled with water and heated for 24 hours at 95 C. The food itself from each can could not be accurately tested because other chemicals in the food could interfere with measuring the BPA. Studies have shown when cans are heated in the manufacturing process, BPA leaches out of the linings. Foods are first sealed in cans and heated to kill bacteria in the food. Cans are heated to temperatures between 116 C and 121 C, and the length of time varies according to the type of food. "The tests we did in the cans are fairly conservative," said Julia Taylor, the lab technician that conducted the tests. "We used water, which is less likely to pull out BPA in a can." Because these findings show that BPA leached out of the cans and into water, it can be assumed that the chemical is leaching into the food itself when the cans are heated during the pasteurization process, Taylor said. Environmental Defence, an advocacy group that has long called for a ban on BPA, conducted its own study into BPA levels in plastic baby bottles. It found that many of the bottles, manufactured by popular name brand companies, leached from five to eight parts of BPA per billion when heated. Rick Smith, the executive director of Environmental Defence, finds these new results troubling. "They should be concerning for every Canadian, not just because of the implications for their kids but also what it means for adult Canadians," Smith said. "It turns out that we are marinating in this chemical." Researchers say the effects of BPA are cumulative in children. "You can get an exposure from a canned food, also from a drink and from another product," Taylor said. "Little by little these exposures add up to a bigger hit." Last month, Health Canada announced plans to ban plastic baby bottles that contain BPA and would be moving to restrict the use of BPA in the linings of cans of baby formula. However, this suggests that the government should be restricting the chemical's use in other canned foods that are popular with children, such as soup and juice, Smith said. "If Health Canada is really interested in protecting kids, it is time to take that next step and to get this chemical out of tin cans," Smith said. Health Canada said that by its own assessment, the levels of BPA found in cans pose no risk to adults. However, the government body has started to measure levels of BPA that accumulate in people's bodies.